The C&O Canal Towpath runs from Georgetown to Cumberland, Maryland, just a few miles from Pennsylvania. It's an unpaved but fairly smooth trail along a canal that used to be a vital transportation link for western Maryland. 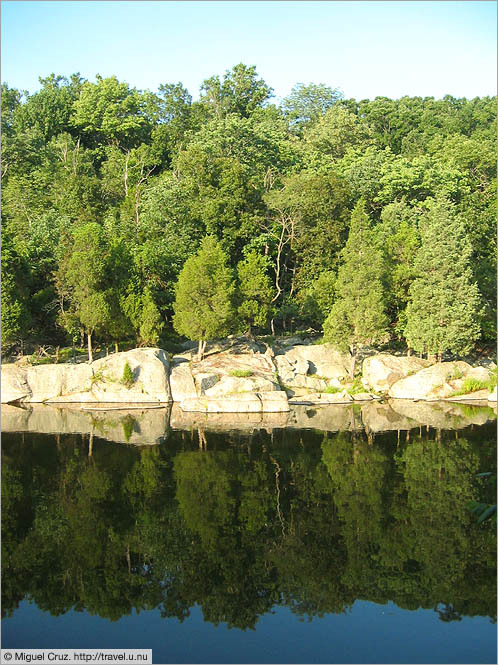 This photo was taken about 45 minutes' bike ride from Washington DC, just before the entrance to Great Falls.